It isn’t just BJP and Hindutva affiliated groups who are now calling for a ban on eating beef. The All-India Shia Personal Law Board has also joined the chorus in the appeal for a complete ban on cow slaughter as it “hurts people’s sentiment” and leads to communal disharmony. This comes a day after Ajmer Dargah chief Syed Zainul Abedeen Ali Khan, who called upon Muslims to stop eating beef for communal harmony, was declared “murtad, no longer a Hanafi Muslim” and removed from the post of Sajjadnashin, shrine’s spiritual head, by his younger brother Syed Alauddin Alimi. According to Alimi, his brother was not fit to be the Sajjadnashin as he ceased to be a Muslim. Alimi claims to have replaced his brother. 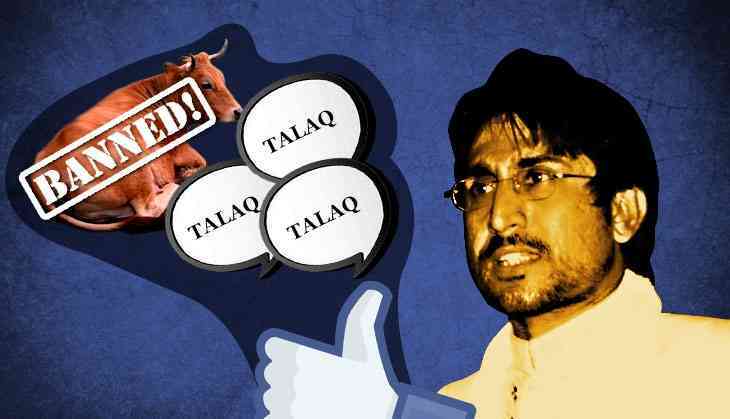 Ali Khan had also called ‘triple talaq’ un-Islamic, a thought shared by the Lucknow-based Shia Personal Law Board. At its executive meeting in Lucknow on 5 April, the board’s president Maulana Yasoob Abbas said that in the opinion of Ayatollah Bashir Ali Najafi of Iraq cow slaughter is “haraam (forbidden) if it leads to spilling human blood”. The ayatollah’s opinion was in response to a question from the Shia Personal law Board. On triple talaq in one sitting, the board said that it was arbitrary and demanded a stringent law against the practice. The Maulana Yasoob-led Shia Personal Law Board does not enjoy total support of the entire community as prominent Shia leader Maulana Kalbe Jawwad is not a member of the board. “He (Yasoob) is no maulana. He has not been to any madarsa,” claimed Maulana Jawwad who said that opinion of another Shia cleric of Iraq was sought decades ago and he his opinion on cow slaughter was similar to the one cited by Maulana Yasoob. Despite their differences, the two maulanas were on the same page with regard to triple talaq in one sitting. President of the All-India Women Personal Law Board Shaista Ambar says there is nothing lacking in Islamic law, but the right to divorce is being misused. The Holy Quran lays down that talaq should be said thrice over a period of three months, so why this rush to say talaq thrice at once,” Ambar asked. This is what we are fighting for, said Ambar adding that now people send three SMSes one after the other or utter the dreaded word in an unholy state yet it is held to be jaayaz (valid). Naaish challenged the All-India Muslim Personal Law Board to show even one line in the Quran that justified triple talaq. “When the Quran provides for arbitration and reconciliation, where is the room for triple talaq,” she asked. She called halala nikah a pre-Islamic practice which was still being continued. Begum Iqtedar Ali, who is a member of the AIMPLB, disagrees with the Ambar and Naish. “The provision is very much there and in very clear words. There should be no dispute about it whatsoever,” Iqtedar Ali said. Several victims of triple talaq, including several Sunnis, recently met Uttar Pradesh Chief Minister Adityanath Yogi and state women welfare minister Rita Bahuguna Joshi, demanding an end to triple talaq and relief for themselves.